Do you love someone who was born with a disability or who become disabled as a result of an illness, accident, or injury? If so, taking responsibility for special needs planning can be the greatest gift you give to your friend or relative. If your loved one with a disabling condition has won a personal injury settlement or otherwise come into assets, special needs planning can ensure the money is properly managed and doesn’t result in loss of access to benefits. If you are planning to make a gift or leave an inheritance behind, special needs planning is also essential to ensure the gift has no downside. When and why is special needs planning necessary? What is involved with special needs planning? How can a Beverly special needs planning lawyer help you? The disabled individual may be mentally and/or physically unable to manage, invest, and monitor the assets. The disabled individual may lose access to government benefits that are means tested. Supplemental Security Income is commonly the only or primary source of income for someone with a disabling condition. SSI is means-tested and it is not available to individuals with significant income or assets. Medicaid is also another important benefit which may provide payment for most or all of the medical assistance received by someone with a disabling condition. Like SSI, Medicaid is a means-tested benefit. Without special needs planning, the receipt of assets or property from a gift, injury settlement, or inheritance could result in a disabled individual losing access to Medicare, SSI and any other means-tested benefits. The result is the money could be quickly spent on medical care and basic needs, rather than being used to enrich quality of life as intended. With special needs planning, provisions can be made for money and property to be managed for a disabled person and to provide an enrichment to quality of life without loss of access to benefits. Special needs planning can involve the creation of either a first party or third party special needs trust so the assets a disabled person receives are not owned by that disabled individual. Instead, the trust will own the assets. A trustee will be named, who has a fiduciary responsibility to manage trust assets and use them for the benefit of the trustee. While cash gifts cannot be provided to the disabled beneficiary, the trustee can buy possessions and otherwise use the money to enhance the life of the person who is disabled. In some cases, special needs planning also involves taking other steps like making provisions for who will care for a profoundly disabled person when parents or other current caregivers are gone. The process of creating a comprehensive plan for someone you love who is disabled can be complicated and you need to seek assistance from someone who understands the legal tools that you can make use of to help you. 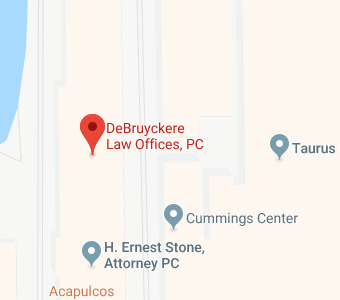 DeBruyckere Law Offices is a special needs planning firm focused on helping clients in both Massachusetts and New Hampshire. Our attorneys have decades of collective experience offering assistance with ensuring people with physical and mental disabilities have the assets and care they need to enjoy the best quality of life. Give us a call as soon as possible at our New Hampshire number, (603) 894-4141 or at our Massachusetts number, (978) 969-0331, for assistance if someone you love is to inherit or receive assets and you are concerned about how this financial windfall will affect benefits status.